It seems like eons ago when we were climbing to 12,000 feet in the Ruby Mountains in pursuit of Snowcock. 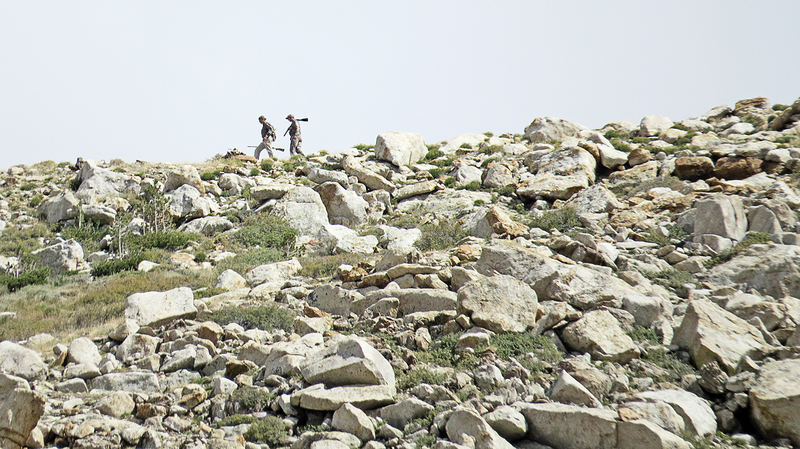 But it was just a short six months since we set off to start the 2012 bird hunting season. Now that wild bird hunting in the lower 48 has ended I sit here reflecting on what we accomplished last year. A large part of me hates seeing the season close. But I confess there’s also a small piece thankful for the break. I appreciate the time the off-season allows to assess strengths and weakness and to plot how to continue expanding the sport of bird hunting. 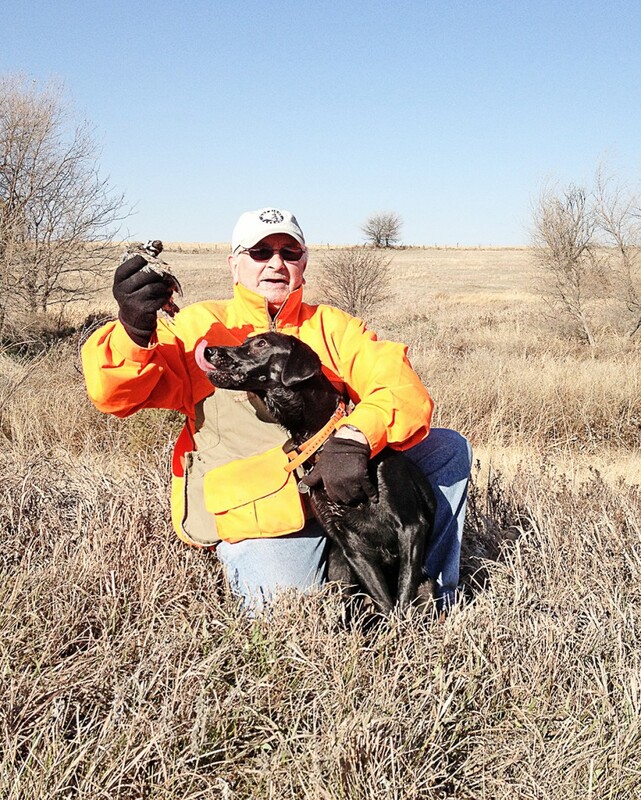 This year we managed to hunt public lands across seven states sharing the field with some great Ultimate Uplanders. The introduction of Rio the young Jornada Llewellin in her first hunting action seemed to dominate our adventures. Puppies afield are great mirrors into a bird hunter’s psyche; they test your patience, reveal your flaws and can make you a better hunter. I think Rio did all these things and it was great be back in the game with our first pointing breed since the loss of our GSP Finn. Opening the season with mind blowing vistas of the high dessert is tough to beat. 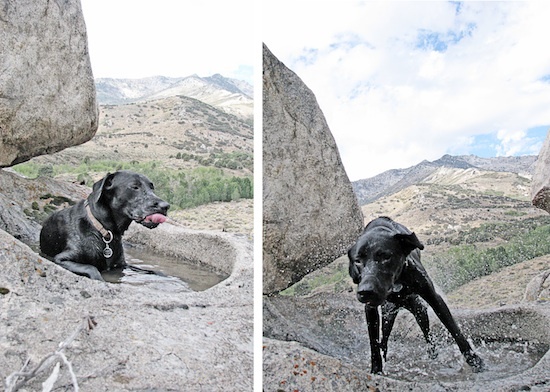 Scaling peaks with Wyatt the black lab in Nevada followed by similar hikes in pursuit of Ptarmigan in Utah gave new meaning to ‘tough hunting’. Time spent camping and hiking with new friends, lifting Wyatt over truck sized boulders, utter exhaustion followed by moments of exhilaration from elusive long flushing birds made September unforgettable. 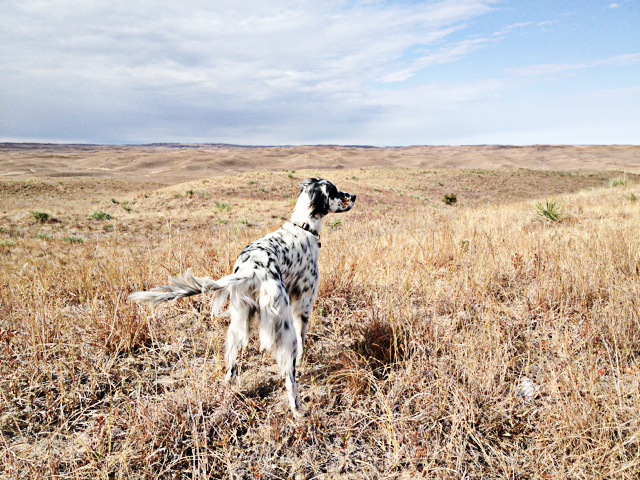 Loosing Rio in the expansive Nebraska Sandhills and watching her worldview transform with the freedom that comes with miles of uninterrupted running was quite a sight as well. Nebraska National Forest also offered the first view of the negative impact of the drought across the bulk of the Midwest. 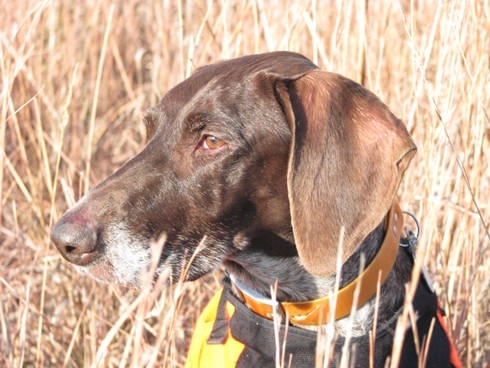 Birds were hard to come but young dogs have much to learn beyond just finding fowl: barbed wire, proximity to gun, cactus, porcupine, and sleeping in tents were all part of Rio’s lesson plan. Luckily when we moved on to the grouse woods of Wisconsin the drought was no longer an issue and Rio could focus on pointing. 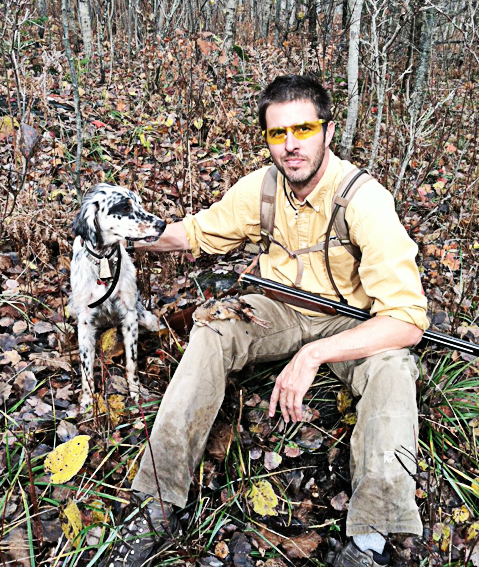 Old scent, new scent, woodcock, grouse, songbirds…. nothing was safe from the pup’s glare. 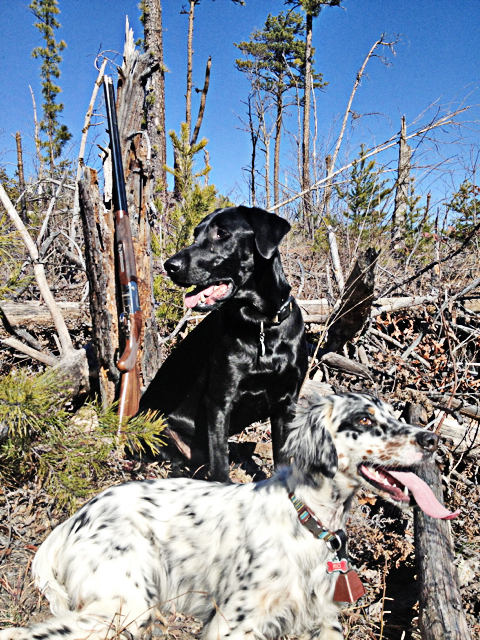 We worked to readjust ranging from open prairie to the thick North Woods where Rio finally scored her first bird. The pursuit continued into Michigan where Rio was introduced to hunting with other dogs via our friends from the Saltville crew and the larger than life Britney Starr who helped to bring our very first Timberdoodles to hand. The annual hunt with my dad in Kansas is one I look forward to most. 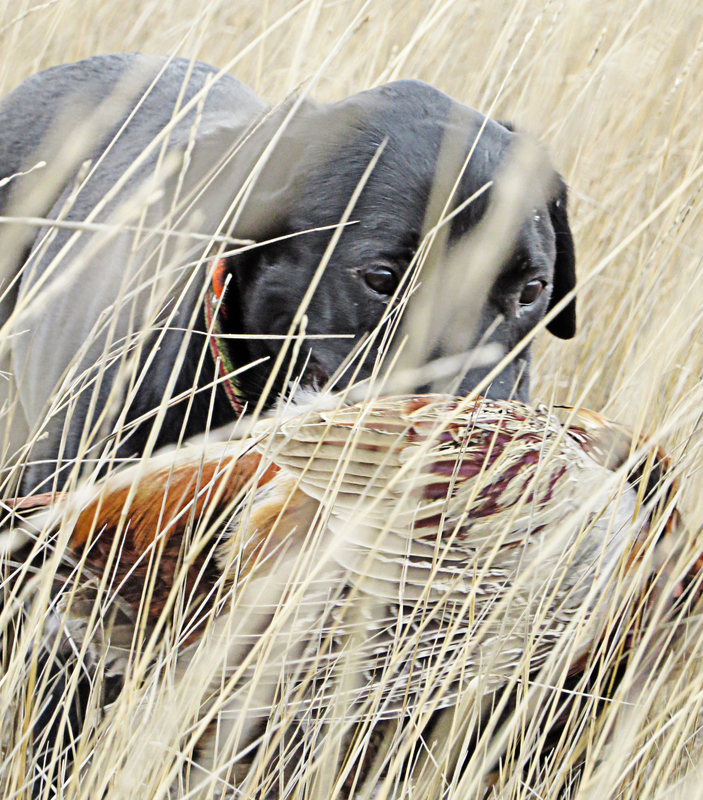 This year regardless the drought and low bird forecasts it promised to be entertaining because it would be Rio and Wyatt’s first joint hunt. 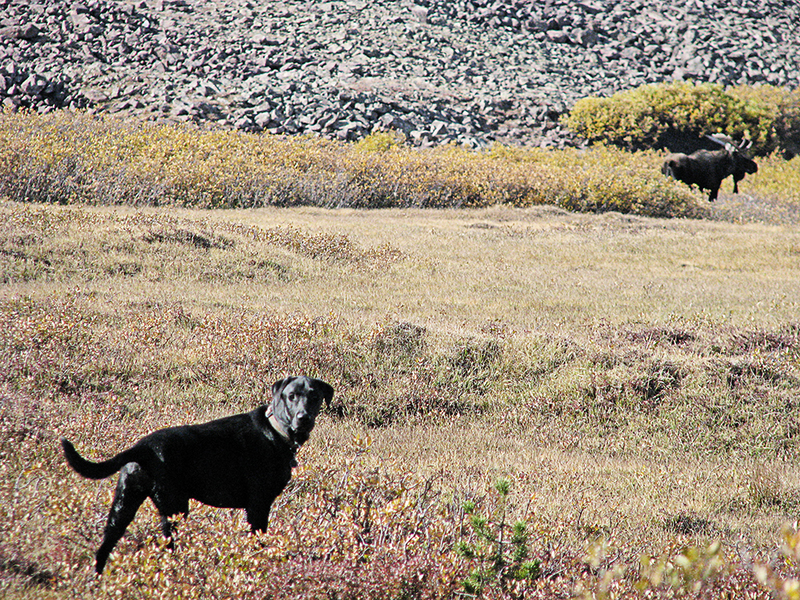 Dad got to share in my vision for the future of our hunting; running both dogs each with their own style and strengths, allowing them to follow their calling. 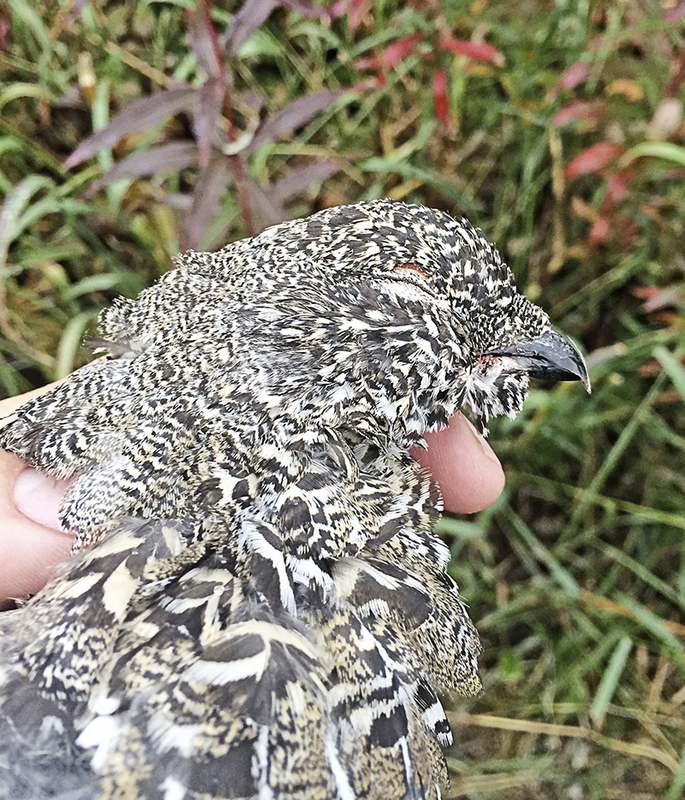 And Dad finally connected on a wild Bobwhite ending a multi-year curse. 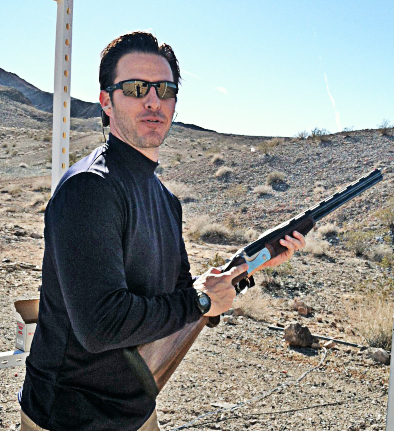 It was a great 30-yard crossing shot that reminded me of decades of shotgunning under his tutelage. 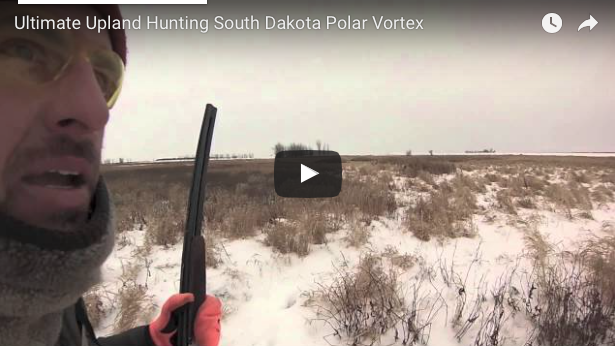 I hunted South Dakota late in the season to chase wise old roosters. Something I dare to even mention, Rio learned to circle long, get in front of running birds and hold them. I witnessed it on multiple occasions and have not whispered it to a soul. Is it possible this dog could be that good? The first instance I thought it was a fluke, the next I got the shivers. This isn’t something I’ve trained; I’m not even sure it can be trained. This is something she has learned to do – or maybe it was a happy accident. Time will tell. 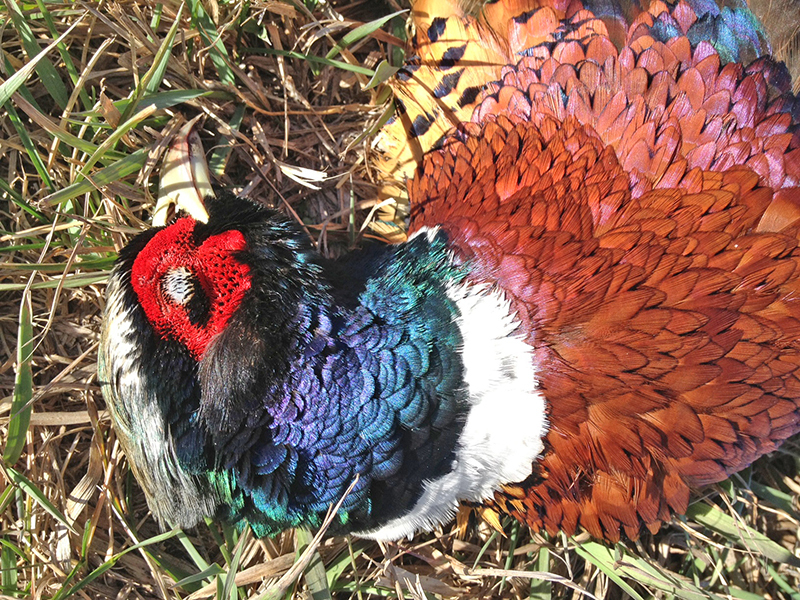 Ultimate Upland hosted the second annual Longest Rooster Tournament which had hunters across the country posting photos of longtails on their Rooster Rulers©. The winning bird was harvested in New York by Ultimate Uplander Doug Banks – 42″ tip-to-tip. We’ve had requests to expand the tournament to other species next season and are evaluating how to proceed. For the second straight year we travelled to the SHOT show to review new products for the upland industry. The highlight of Las Vegas this year had to be the triumph over Britney Starr in the Birdhunter Battle of the Sexes. We’ve had numerous requests to expand the battle next year, so there’s a good chance she will bring a ringer to attempt capturing the title. We finished the year right back where we started, here in North Carolina. 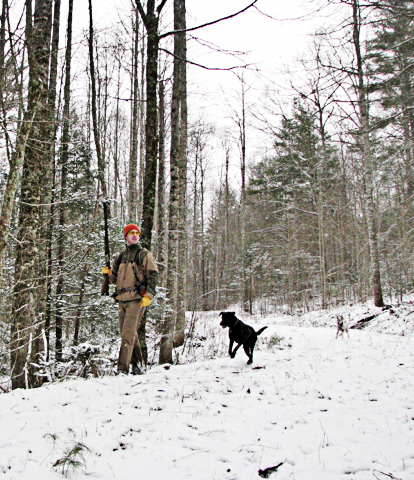 Both dogs have searched high and low over the last six weeks for the fabled southern appalachian Ruffed. Though we tripled the number of flushes from last season, across four different peaks, we were still unable to bring one to hand. The signs of spring are now creeping in on us. The dogs are bored. The shotgun is sitting in the corner in need of deep cleaning. 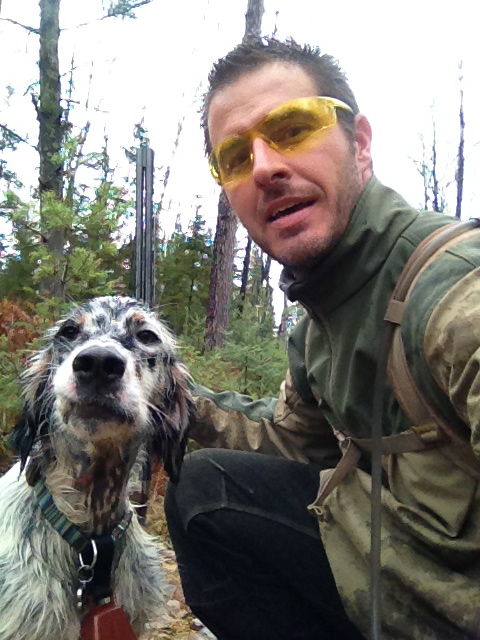 For each of the past two seasons I’ve spent over a 100 days in the field with the dogs. 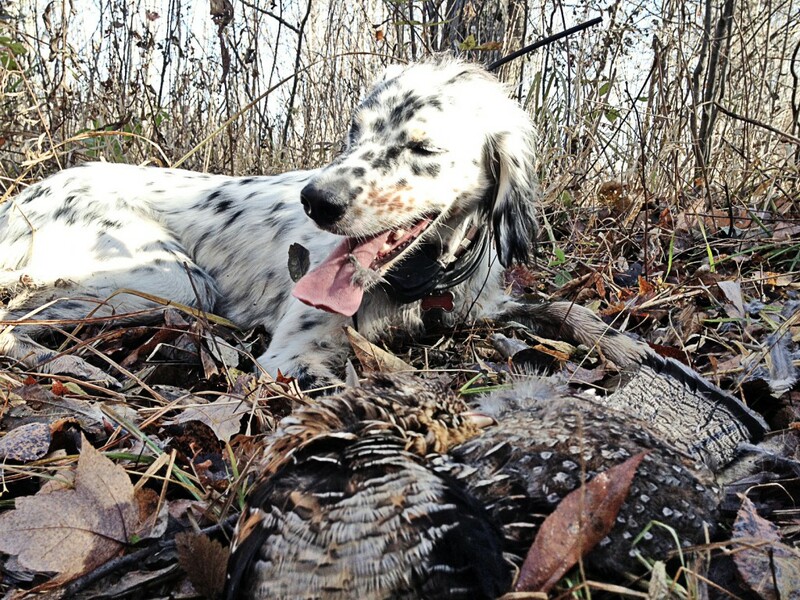 I’m thankful for Blackwood Pet Foods and the other sponsors who help us pursue this dream of bringing Ultimate Upland bird hunting to the masses. Plans for next season are already taking shape: train harder, hunt bigger, go further. Along the way we’re going to share our passion for this sport with all who will listen. Booming wings erupting from dense cover is a rush that everyone needs to experience. Great hunting and photos, nice to see a great partnership!